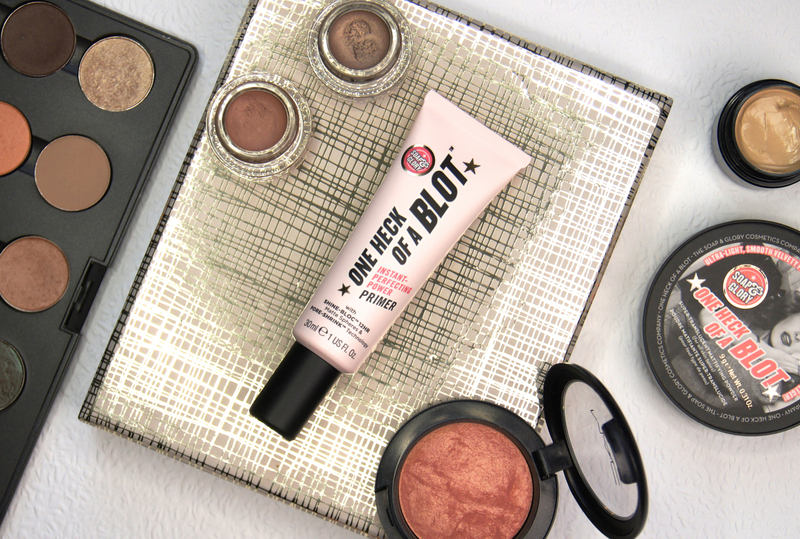 As promised in my September Favourites, I just had to dedicate a full review to the Soap & Glory One Heck Of A Blot Primer, as it's just bowled me over. Mattifying, pore-perfecting primers are usually a no-go, for me. Having dry skin, I prefer radiance-boosting formulas that add an extra layer of hydration, if I bother to use one at all. But, after purchasing this primer on a whim, I've fallen in love and can no longer imagine being without it in my makeup bag. Previously, I've been put off silicone-based primers as they tend to feel quite artificial and suffocating. What makes Soap & Glory's creation stand out from the rest I've tried, is that it's more hydrating and doesn't feel like it's clogging the skin, despite managing to minimize the appearance of pores so well. Of course, it still gives a velvety, smooth finish, but it doesn't leave behind a thick, stifling layer of gunk on the surface. Some formulas start to peel off and ball up as you rub them in, but this silky, creamy gel just smooths on and doesn't affect any skincare applied underneath it. Instantly after application, the skin-tone is evened out, pores are reduced and the complexion is given a satin finish that doesn't look at all dry or powdery. Instead of taking away too much shine so that the complexion ends up looking dull, it keeps the skin looking radiant and healthy, thanks to a dose of vitamin E. Creating a blurring effect, skin is given an airbrushed look, whether used alone or before foundation. Even though I've never had an issue with obvious, open pores, this primer honestly makes my skin look like rubber. In a good way. Other, similar primers maybe help to keep my makeup looking better for an extra hour or two, but this is the first which has kept my base looking flawless all day. No touch-ups necessary. Whenever I'm heading out for a busy day and need to ensure my makeup is looking perfect without worry, I can rely on this primer to have my back. Using mattifying spheres (trust Soap & Glory to conjure up yet more weird and wonderful technology) to absorb any oils, this primer helps to control shine for twelve hours and it really does the job. Even when I apply a dewy foundation or tinted moisturiser over the top and don't powder, there's no greasy-looking shine, no fading and no patchiness to correct after a few hours. Normally, I start to notice my base fading around my nose, chin and forehead by the end of the day but, like glue, the One Heck Of A Blot Primer keeps everything firmly in place, until I wash it all off. Soap & Glory never let me down with their makeup, skincare or body products and this primer is another, successful addition to their line. At £10 for 30ml, this is a total steal and well worth a purchase, if you're looking for a primer that can really deliver long-lasting, pore-perfecting results. Along with this primer and their original One Heck Of A Blot Powder, which I'm also obsessed with, they've also recently released the One Heck Of A Blot Foundation, which I'll inevitably try soon enough. Have you tried this new release from Soap & Glory yet? Sounds like such an amazing product. I've had my eye on Soap & Glory for a long time but have never actually tried something from them. I normally don't use primer, but I think I'd give this a shot, no questions asked! we don't have that here but i'm visiting the UK soon so i'm definitely going to check out their stuff! This stuff looks awesome! I wish we had more Soap and Glory products in the US! Well this is a glowing review and a half! I am definitely keen to try it now. 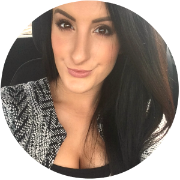 I would love to try S&G products! This one looks very impressive & their products are so affordable. Great review! I've just bought this in the past week and I'm obsessed with it! It's the first drug store product i've bought in YEARS and it's made me want to try more! It's better than SO many of my high end primers like NARS.